Marketing needs? Hire a herd of workhorses, not a magical unicorn. You know, a magical unicorn of a human who can develop smart strategy, write insightful press releases, update your social media, design layouts, forecast sales—the list goes on. The short answer, of course, is yes. But, like a magical unicorn, they’re awfully hard to find. If not downright impossible. Here's the reality: You can hire an entire team of experts—a herd of workhorses—for about the same investment as that elusive unicorn you might be hoping to capture. For starters, consider the true cost of an employee. The average salary of a marketing manager typically ranges from $60,000 to $100,000. Now, throw in health benefits, vacation and other perks, and you can easily tack on 20 percent to that total. Simply put: All the rainbows and glitter that come along with a unicorn can get expensive. Fast. It’s also important to look at the current low rate of unemployment. Today’s economy favors the employee, not the employer. With an unemployment rate of just 2.4% in many markets, employees are less loyal than ever before. In fact, in many cases, employees are staying at their job for less than one year. You should also consider the time and investment it takes to train a new employee—only to have them leave a few months later. The lesson here: Unicorns have the power of flight and they’re not afraid to use it. Finally, as you well know, marketing disciplines are expanding as fast as the marketing channels themselves. In the last 15 years, the industry has exploded. There are more marketing channels than ever before with many new channels emerging online daily. 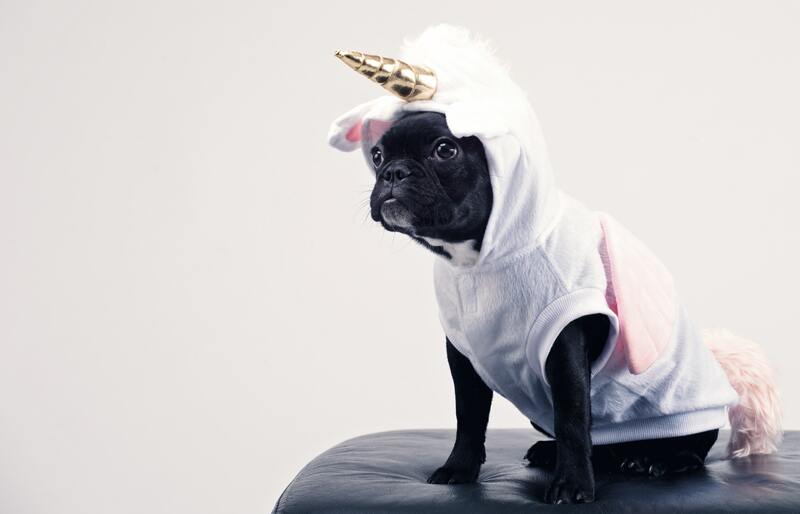 So, unless your unicorn comes with an equally magical unicorn cloning machine, you’re going to need more horses in your stable to handle the myriad of marketing disciplines in our ever-expanding world. We get it. Like you, we’ve been there. We know what it’s like when you’re feeling overwhelmed. You look to the skies in hopes of summoning that magical unicorn from behind those perfectly puffy white clouds. We believe the answer is right here on the ground—a stable of workhorses, patiently waiting to run long and hard out into that field—to help you get the job done. When you subscribe to the Giant Voices blog, you get high-performance marketing strategies delivered direct to your inbox. Increase revenue, master social and inbound marketing, skyrocket your productivity, and more.